A smarter stream of information inside the Google app tries to anticipate your interests. Google Now is gone, but your information feed lives on as a revamped, humbly no-name feed, whose mission is you and only you. When you launch the new Google app (or swipe right on Pixel phones), it won’t look much different. The search bar remains at the top, followed by your shortcut icons and a series of cards based on your interests. Feed for thought: Google is constantly seeking ways to keep us immersed in its world of search and information, and the personalized feed is a natural extension of that mission. But it raises more questions about just how much Google knows about us, and how it uses that information to deliver ads. Google Now was always ad-free, but when the feed (by any name) gathers so much data about what we like to watch, read, and do, it seems like only a matter of time before Google starts to put all that valuable data to good use. The new feed is designed to save you the effort of looking for what you want. 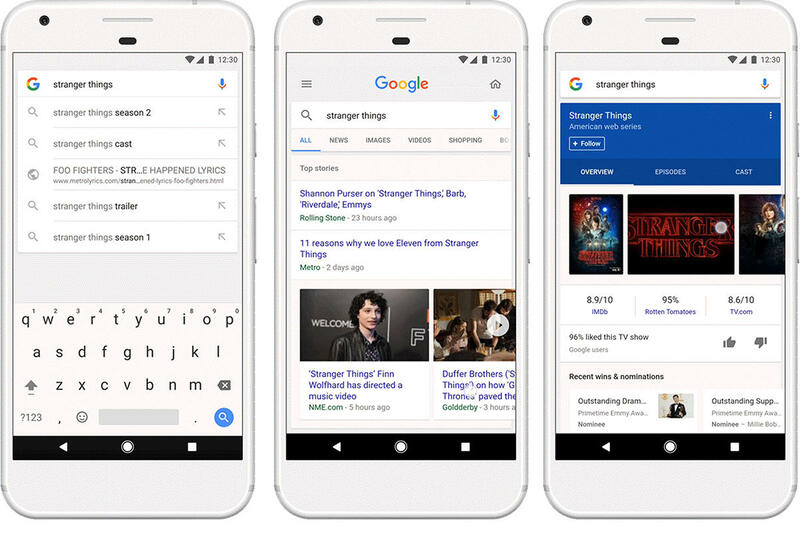 No longer will you need to pick which cards you want to see inside the Google app. Google’s machine learning algorithms will track what you search for to anticipate the things you’ll want to know about. In turn, your feed will factor in your preferences and interactions as well as global news trends to deliver a personalized, pinpointed information stream. In a way, the new feed assumes some trappings of a social network. When you search for something, you’ll see a new Follow button for things such as sports teams, movies, and bands. Tapping it will tell Google that you want to receive updates in your feed about that topic. Google says it will take into account your interest level, feeding your obsessions more frequently than your passing fancies. Now you can follow people and brands in your feed just like you would on Twitter. Google is making it easier to learn more about specific topics. A new scrollable tap will present additional information about news, including fact checks, opinion pieces, and related stories. You can also tap on a header to exit the feed and search as usual. Of course, your feed is editable as before, and you can easily follow and unfollow topics by tapping the three dots to the right of each card. Inside you’ll be able to remove stories that you no longer want to see or stop receiving updates altogether. 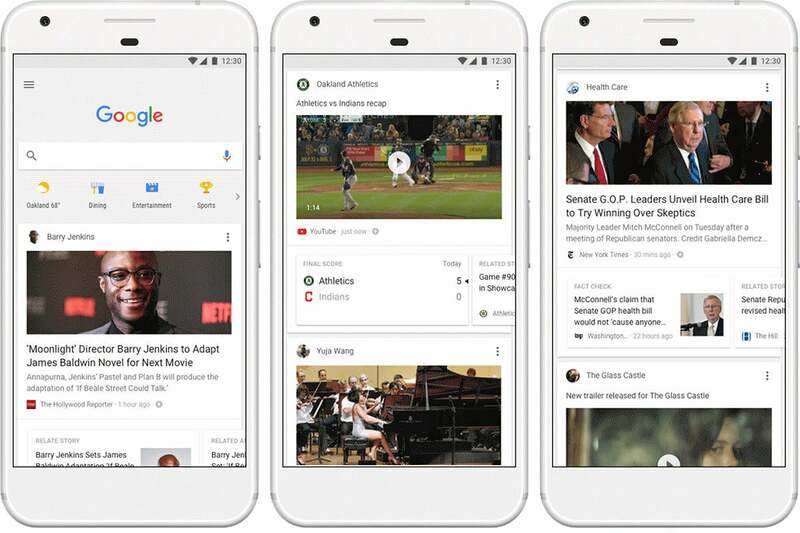 The new feed is currently rolling out in the Google app to Android and iOS users in the U.S., with an international rollout beginning in the coming weeks.